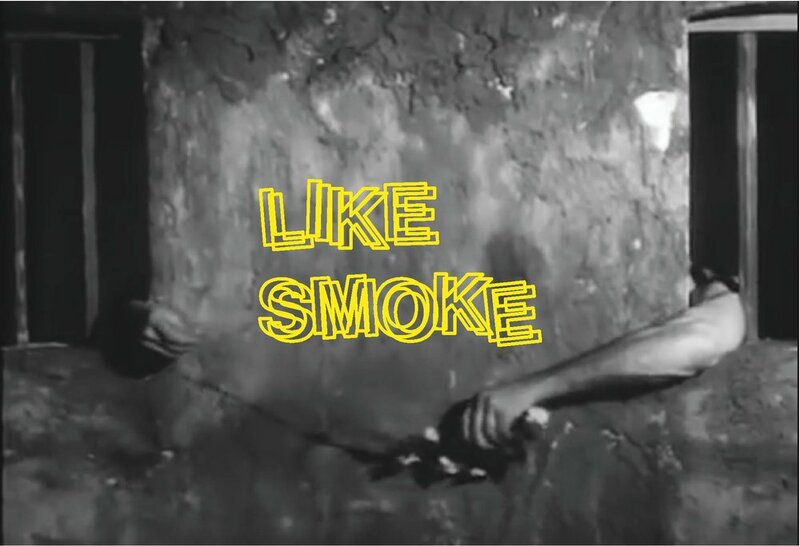 Equity Gallery is pleased to present Like Smoke, a group exhibition curated by Osman Can Yerebakan and featuring works by Dan Fairbanks, Carl Ferrero, Daniel Greenfield-Campoverde, Hermes Payrhuber, Eric Rhein, Gwen Shockey, Pacifico Silano, Quay Quinn Wolf, Lindsey Wolkowicz, and Jade Yumang. 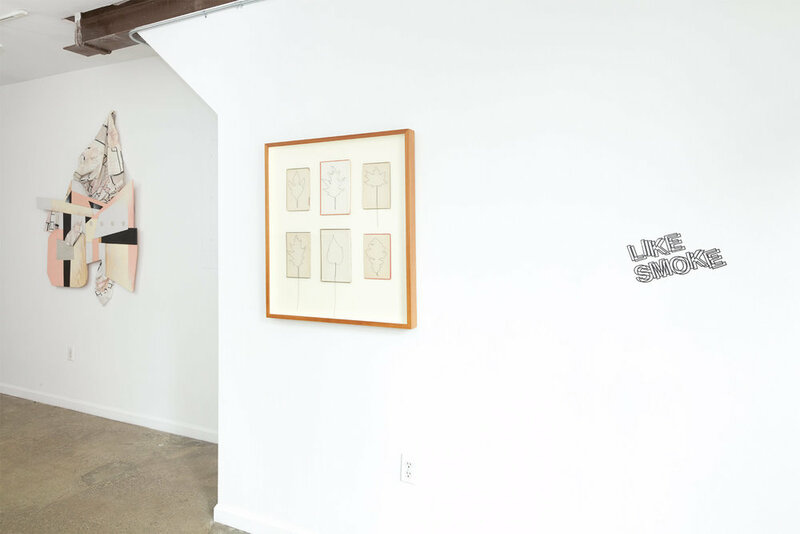 Adopting its title from an important component of Jean Genet’s only directorial effort, Un Chant d’Amour, the exhibition examines corporeality under the circumstance of physical absence. In Genet’s 1950 black and white silent film, two prisoners, also lovers, are confined to adjacent cells under the watch of an abusive guard who scrutinizes and suppresses their relationship and their struggles for physical contact. Eventually, the two prisoners embark on a dream-like hallucinatory encounter in which the smoke one blows to the other through the hole dividing them substitutes for their missing bodies. 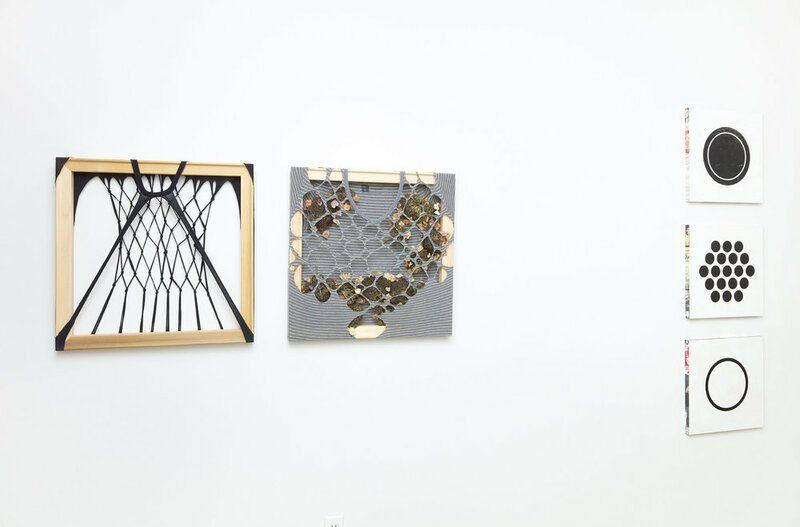 The ten artists in this exhibition depict ways tactile surfaces and abstract imagery stand out to manifest carnality and figurative representation when the physical body is detached. Employing various mediums, each artist conveys earnest and intimate human feelings of longing beyond the body and its representative radiance, exceeding the limits of tangible presence toward meditative states. Furthermore, commenting on constant restraint and preconceptions queer identity face, the exhibition studies the portrayal of queer experience as a marginalized matter in society. Rendered into testimonies that are visually placid yet assertive in conveyance, the exhibition problematizes mainstream representations of queer aesthetics, challenging fixed notions and representations on mutual contact and solidarity. 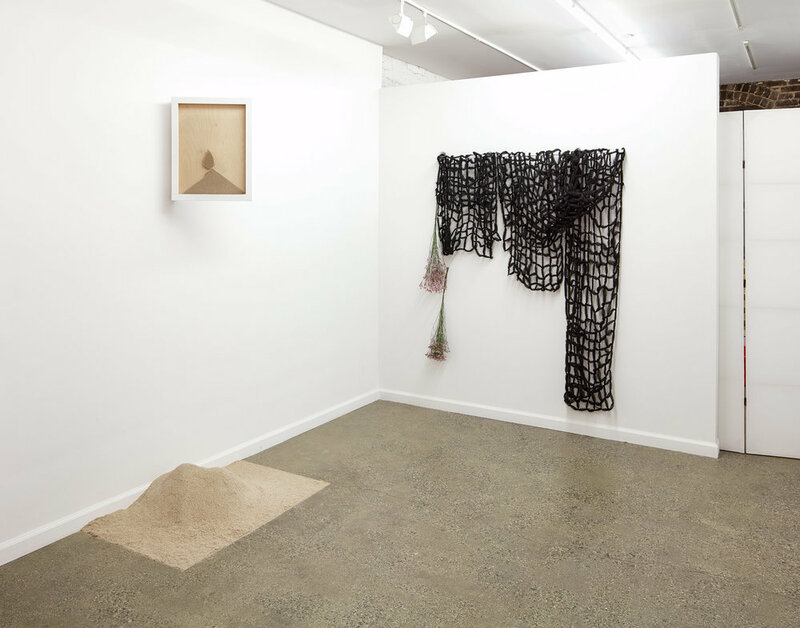 Raising questions on body politics and the systematic oppression of the body as an objectified entity, the artists in the exhibition dismantle and redefine patterns for self-expression. 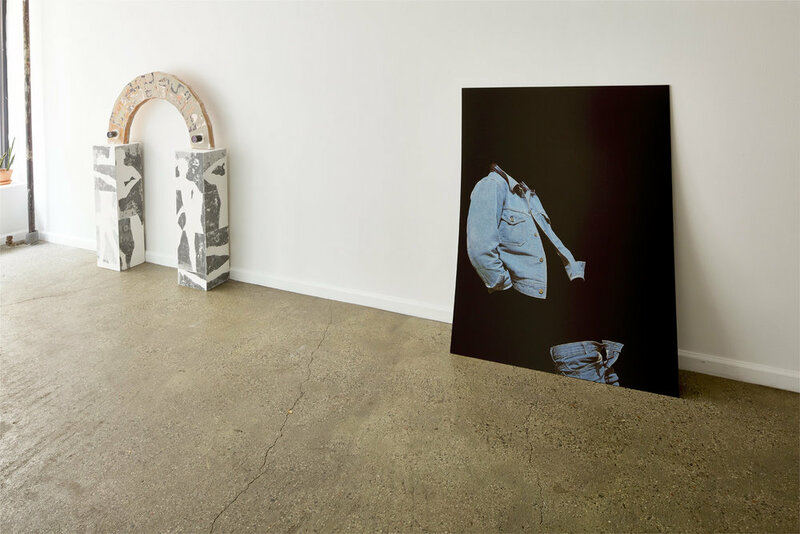 On the other hand, analyzing the paradox of absent body, works selected approach the subject matter as a psychological argument in which the artists delve into depths of their subconsciouses to ponder self-discovery while facing a physical and mental void.